Leave a comment under this post telling us your favourite cupcake flavour. This giveaway is currently set to run until 23rd September 2012 however it may close early or be extended without notice. 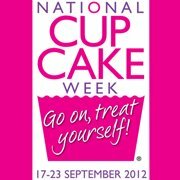 My favourite cup cakes would be chocolate cake with mint butter cream and after eight mint on top.